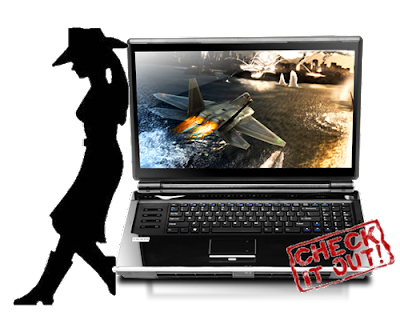 When it comes to laptop gaming, graphics processing units (GPUs, or video cards) are the laptop parts you should be looking at. Sure, CPUs are usually the go-to laptop components when measuring a laptop’s prowess, but they handle the “behind-the-scenes math” data crunching responsible for the overall functioning of laptops. GPUs, on the other hand, focus solely on processing visual data. That is, they are processors, much like CPUs, only they take the brunt of the graphical processing load to free up a CPUs resources to concentrate on other important matters. Gaming-primed high-end desktop replacements can give you the best bunch of laptop parts possible, but these, of course, come at hefty prices. When under a budget, it’s best to focus on the power a laptop’s GPU can pump out. Below are some of the best gaming laptops you can buy under $500. The HP G6 Laptop sports a 2GB AMD Radeon HD 6480G dedicated video card. This GPU is enough to run recent games like Call of Duty: Modern Warfare 3 and Civilization V (along with its expansion packs) at high specs. The laptop is further powered by an AMD A4-3305M dual-core processor and 4 GB of DDR3 RAM, helping it run these games at zippy clips. Its screen is good enough at the price the laptop is being sold. It’s a 15.6 inch LED screen with backlit display, with a 720p HD resolution (or 1366 x 768 pixels). While not the full HD resolution range of 1080p HD, the screen’s small size doesn’t really make the decreased resolution noticeable unless you’re a complete OC behavior-infused videophile.The laptop has 6-7 hours of battery life, is lightweight, and comes at just under $450. While it can’t play the aforementioned games at full specs, the Toshiba Satellite L755D-S5162 can still run them at respectably high levels, just like the HP G6. It has an ATI Radeon HD 6520G GPU, an AMD A6-3420M accelerated processor, and 4 GB of DDR3 RAM.It displays its graphical prowess through its 15.6 inch LED screen that supports 720p HD. Its built-in speakers are enhanced with MaxxAudio LE for high quality sound.The whole package goes for $450 as well. Finally, we have the Dell Inspiron i14RN-1227BK. Rather than having a dedicated GPU, it has an integrated Intel HD Graphics 3000 chip housed in its 2.3 GHx Intel Core i3-2350M processor. It also has 6 GB of DDR3 RAM under its hood, all for $460. Dell also offers an upgrade to 8 GB RAM for an additional fee. Despite being integrated, the graphics chip is good enough to run a resource-hungry video game like Grand Theft Auto IV, albeit at the lowest specs. Other games of the same generation can be expected to run at mid-level range. The Inspiron has a 14 inch LED screen that, like the other laptops here, displays images at 720p HD. It has SRS Premium speakers that blast crystal-clear sounds, a 1 megapixel webcam, an 8x CD/DVD optical drive, and an HDMI video port. I’m Colleen Northcutt 22 years old. Writer / Web promoter, and Blogger from Reno, Nevada. I’m an avid PC gamer and I was working for laptopaid.com, She’s writing about technology especially for laptops and notebooks and very passionate, optimistic & dedicated woman who takes up responsibilities with utmost enthusiasm. What? No Samsung? What’s with American writers and the Samsung hate??? Hatem, I personally don’t like lenovo,Its nothing personal but i feel there are many better laptops. I would prefer the Dell Inspiron. 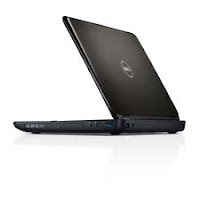 Dell laptop features two USB 3.0 ports which is latest development in USB data transfer as it provide 10 times the speed than the previous USB 2.0 ports. Definitely some pretty sweet specs on these – great collection! Hello, how’s it going? I hope you do well. I needed to say that I like The Best Gaming Laptops Under $500 | Bleeping Tech.